The year is 1962, the place is Baltimore and the accessory of choice is a can of Ultra Clutch hairspray. We join dreamer Tracy Turnblad in a time when big hair was all the rage and racial integration was not. Tracy dreams of one day being one of the 'nicest kids in town' and appearing on 'The Corny Collins Show' - a TV show she watches religiously with best friend, Penny. When a spot opens up, Tracy jumps at the chance to audition and soon shakes up the show and the opinions of the viewers with her inclusive outlook on life. Vocally, the cast is impressive and really shine in this area as a production, particularly during the ensemble numbers. Gina Murray and Aimee Moore were notably excellent playing mother and daughter duo Velma and Amber Von Tussle. 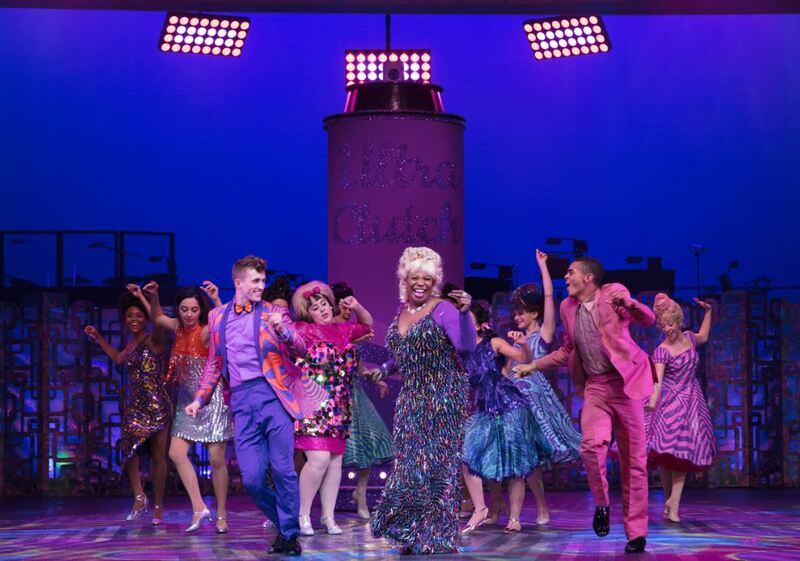 Brenda Edwards took the roof off with her rendition of I Know Where I've Been, Motormouth Maybelle's heartbreaking song about her struggle growing up as a minority. Takis' costumes and Drew McOnie's choreography pair nicely together to create a whirlwind of colour on stage, however the set looked unfinished to the point where stage hands could be seen moving pieces on and off. 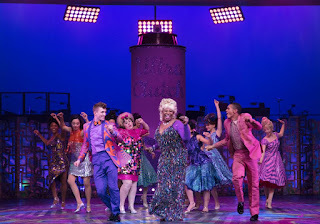 The winning score means one memorable, toe tapping song after another, from the catchy 'Good Morning Baltimore' to the love song 'I Can Hear The Bells', to the show's finale song 'You Can't Stop The Beat' which was ultimately the perfect way to round things off.